Food waste was the topic of discussion when Michigan State University (MSU) hosted its second “Our Table” event on Wednesday, March 21. Russ White reports from the March 21, 2018 Our Table conversation on food waste. Jonathan Bloom, a self-described food waste thought leader and warrior was a panelist. “Food waste is a problem that hides in plain sight,” he says. “And it’s something that we all contribute to but aren’t necessarily aware of. About 40 percent of the food available for consumption isn’t actually consumed. And we’re wasting that massive portion of our food chain when it could be going to help others and feeding people in need.” He says there are environmental and economic implications of food waste, too. In 2010, Bloom wrote the book American Wasteland: How America Throws Away Nearly Half of Its Food (and What We Can Do About It). He says there are small steps we can all take to attack the problem. Natalie Molnar is program coordinator for Live Green Lansing and an energy analyst for the Lansing Board of Water and Light. She says 40 percent of our food waste is organic material and encourages composting of that material, and she says it’s important to reduce our overall food waste. 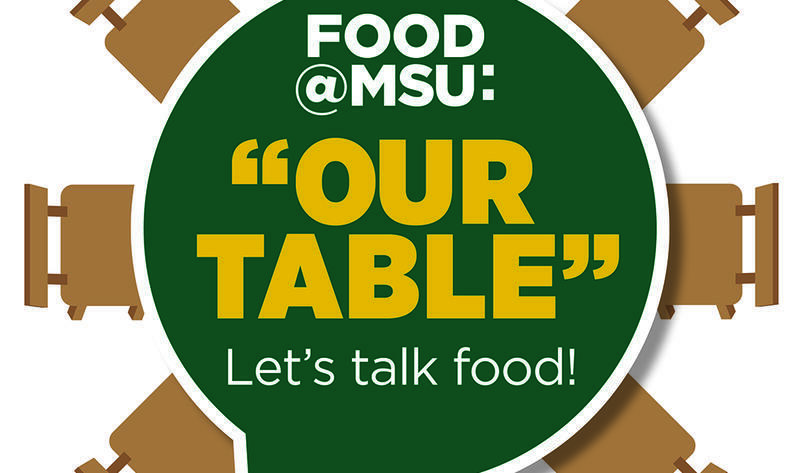 Kirk Heinze hosts sustainability-focused segments on MSU Today. “If you start thinking about food as a commodity and precious resource instead of just food that you can throw away, I think that starts turning the whole mentality around,” says Heinze. Sriram Narayanan, associate professor of supply chain management at MSU’s Eli Broad College of Business, joined the panel and talked about food waste from a supply chain perspective.